Many of us celebrate our birthdays with our friends, a handful of balloons, and our favorite birthday cake. These stars, however, took their birthday celebrations to a whole new level. Below, celebs who went *extra* on their birthday celebrations. As if a trip to the Bahamas isn't extra enough, TV host and former Miss World Philippines Maggie Wilson swam with sharks on her 30th birthday this year. In 2019, Anne Curtis made her friends sweat on her 34th birthday as they exercised their way to earning a piece of a celebratory carrot cake. The party was hosted by Anne's workout buddy Isabelle Daza. Nadine Lustre's birthday falls on Halloween, so she dressed up as Powerpuff Girls' HIM in 2018. And was picked up by boyfriend James Reid in a Ferrari! In 2015, Kanye West threw a party for his then-pregnant wife Kim Kardashian by renting out a movie theater to screen the film Steve Jobs. He also had the whole Kardashian-Jenner clan dress up as their "best pregnant Kim look." Beyonce's Soul Train-themed party in 2016 was the ultimate disco dream. The celeb-heavy guest list did not disappoint with their costumes. Okay, this wasn't really on Jennifer Hudson's birthday. But, she fulfilled our childhood food fight dreams on her son David's seventh birthday in 2016! 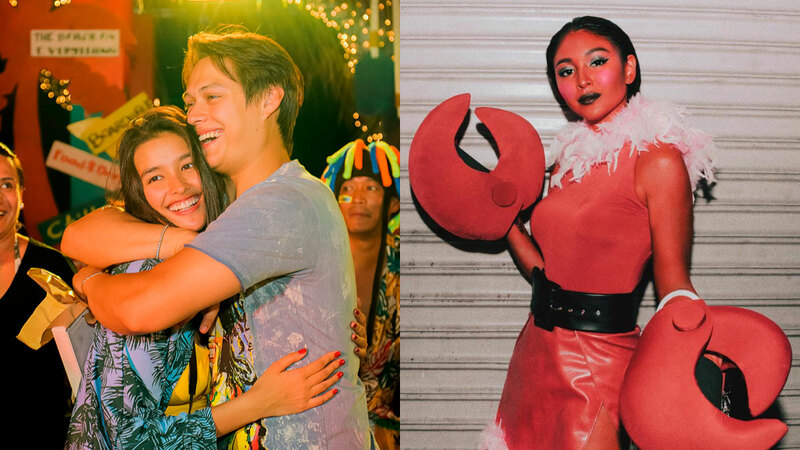 Liza Soberano was super sweet and threw a Jamaican-themed birthday party for her boyfriend and love team partner Enrique Gil in Anilao, Batangas in 2018. This list won't be complete without momager Kris Jenner's ~iconic~ 60th birthday party. Kris' roaring '20s-themed celebration in 2015 had a whopping $2 million budget.